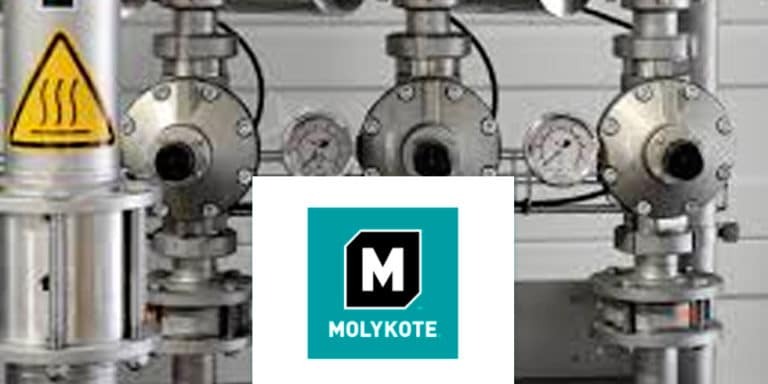 The Molykote™ brand is designed and engineered to solve your difficult lubrication related problems and save energy by reducing friction and wear. With DGE you have access to lubrication experts with broad application expertise to focus on improving equipment reliability. Our technical support provides services and solutions utilizing lubrication best practices. Our goal is to enhance your experience and provide a higher degree of service for your Molykote™ brand compounds, greases, pastes, anti-friction coatings, dispersions, and oils. We facilitate your need for product grade optimization, technical support, order placement and fulfillment. We are committed to being a solutions provider for Specialty Lubricants and are happy that you are here. Welcome to Lubricant Specialty. Harsh conditions, critical equipment and complicated regulatory requirements. These are some of the challenges you face everyday in your market. We are here to simplify your lubricant selection, helping to provide reliability and long-term performance. Molykote™ specialty lubricants have been trusted by engineers and maintenance professional for over 65 years to solve lubrication problems and to help you improve reliability, extend equipment life and prevent costly down-time. Utilize our expertise to help you find solutions that meet the unique challenges of your market. Molykote™ brand lubricants are Smart Lubrication, born from centuries-old discoveries to solve the world’s severe-duty lubricating problems. 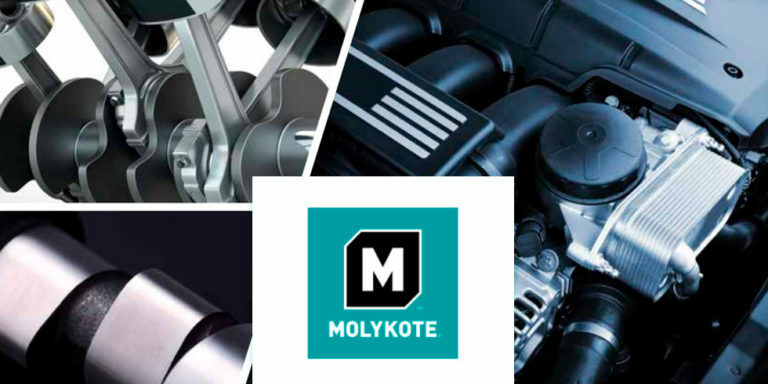 Designed for optimum lubricating and energy-saving solutions and supported by internationally recognized experts in lubrication products and services, Molykote™ is known and trusted worldwide. 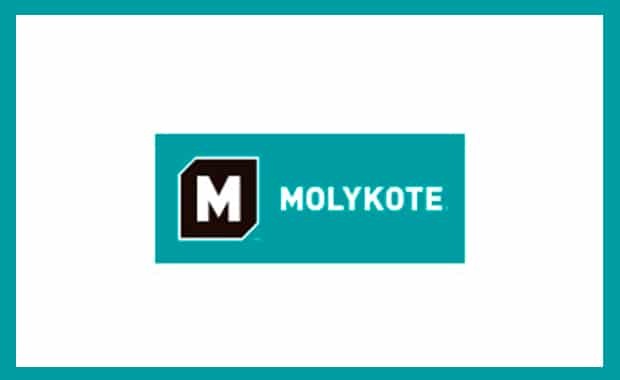 Constantly expanded into new, innovative lubrication technologies, Molykote™ is now respected globally with 65 Years of Smart Success. Silicone lubricants with enhanced lubricity characteristics under developement. 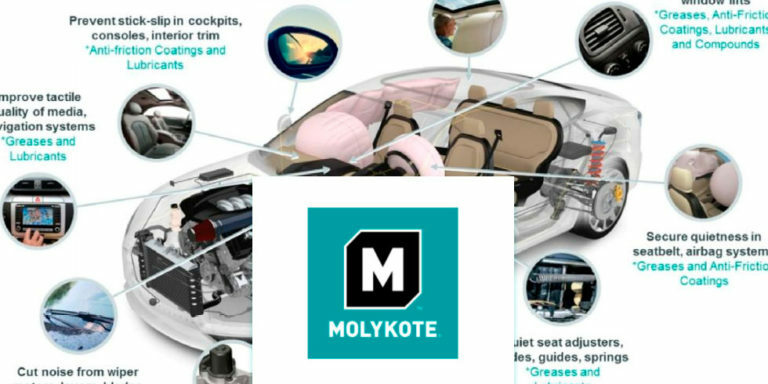 Within a few short years of their debut, Molykote brand lubricants soared in worldwide avaliablility and rapidly expanding applications. New lubricant products introduced in the range, including white pastes, metal-forming lubricants and molynium. 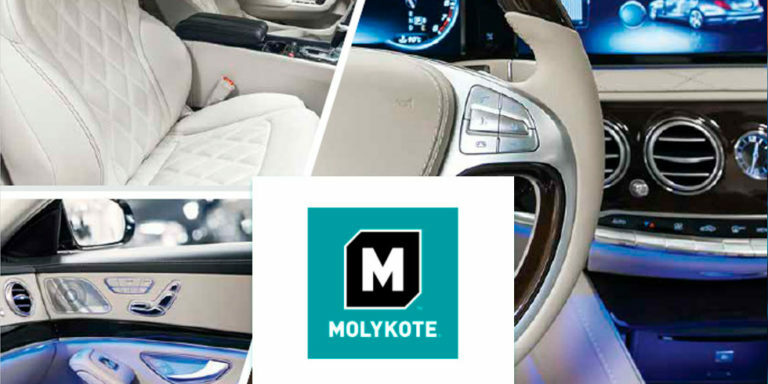 Molykote™ provides a wide range of certified products to meet your industry or market regulations. Utilize our expertise and experience with UL, FDA, NSF H-1, NSF H-2, NSF 51, NSF 61, Halal, Kosher, NLGI as well as other certification standards. Contact us for more details if you don’t see a certification required for your application. 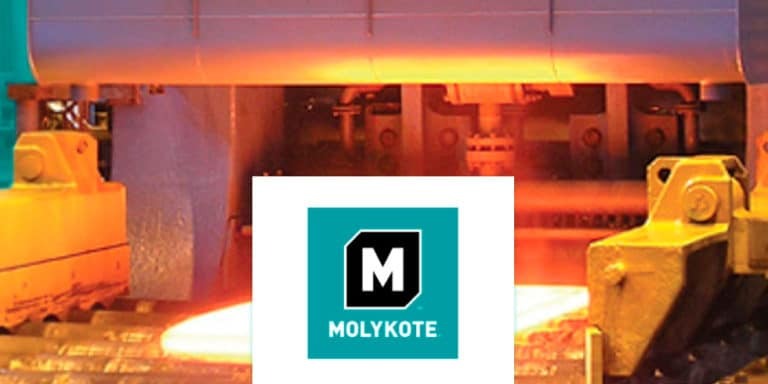 Molykote™ Tribologists and Application Engineers have combined decades of lubricant expertise to help support you. 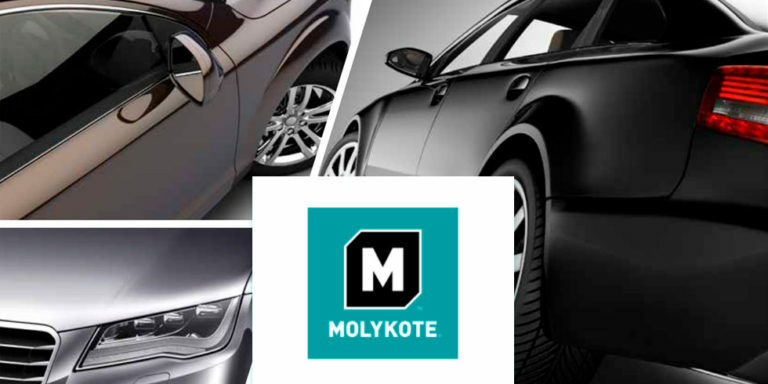 With 3 lubricant laboratories across the globe, Molykote™ is able to provide advanced testing and technical support. Our experts are long-time members of the Society of Tribologists and Lubrication Engineers (STLE) and the National Lubricating Grease Institute (NLGI), where we hold various leadership positions as well as lead many of their training courses.